EXPLORE THE 1ST GRADE CURRICULUM. Wood Acres early literacy program actually begins in the Four Year Old Program and is completed at the end of First Grade. Our young readers meet characters that they will grow with for three years as well as having the internal consistency of a well-engineered, sequentially developed powerful language arts program. Students new to Wood Acres in First Grade quickly adopt these literacy characters and welcome them as their “best friends”. With some extra work, the apt student blends effortlessly into the final year of this early literacy program. Student skills are developed in concert with other English language skills so they understand the integration of written and spoken language. As a result, Wood Acres First Graders advance from level to level with an increasing store of balanced skills that can be applied to accessing, processing, and reproducing the English language. In First Grade, students are introduced to more complex letter-sound relationships such as digraphs and long vowel sounds. Students continue to develop decoding and encoding skills and read longer stories with an emphasis on comprehension and fluency. Our First Graders also gain a growing awareness of the structure and function of words and learn to spell phonetically which aids reading and writing fluency. By the end of First Grade, students will be confident, full-fledged independent readers with a mastery of all phoneme/grapheme relationships in the English language. At the same time they will be competent writers capable of spelling with increasing accuracy. Students also benefit from working with a dedicated reading coach and Wood Acres own Passports Reading Program. Reading weekly with each child provides both challenges for the advanced reader and resources for students needing extra assistance. The reading coach works on automaticity (reading effortlessly) and expressive elements including inflection, volume, and tone. When students practice reading regularly, they attain automaticity that will free up a larger part of the brain to focus on comprehension. Confidence is also a naturally amazing byproduct of this unique coaching program. Students also build comprehension through a nationally recognized program and learn about Socratic questioning with the reading coach as well. 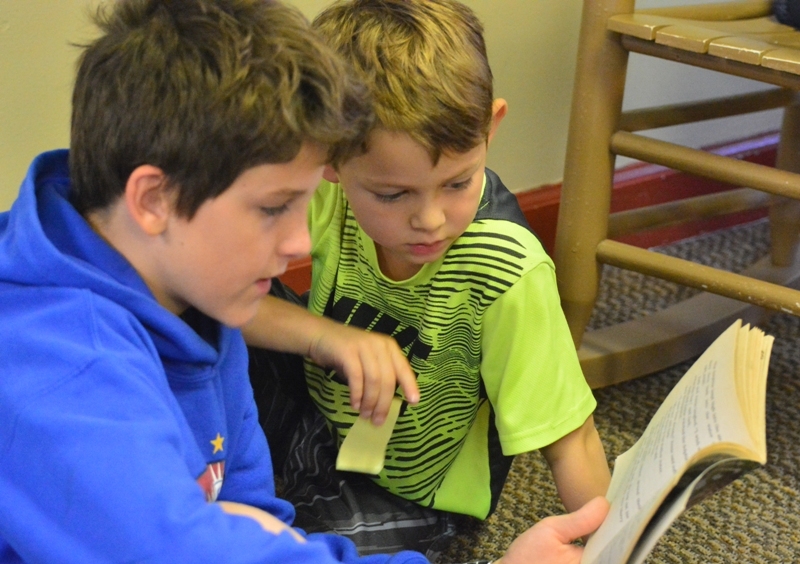 Utilizing a nationally recognized mathematics curriculum, Wood Acres believes that math must connect to the student’s world if it is to make sense and “stick”. Weaving math into their lives and setting the problems in an engaging, real-life context teach math concepts and skills the way children learn best. Problem solving skills are equally developed throughout the year using a variety of methods and materials. Student workbooks, manipulatives, enrichment and practice teach concepts and operations including patterning, comparing and graphing, money, time, measurement, estimation, place value, word problems as well as math operations of addition and subtraction. Timed tests for both addition and subtraction facts are introduced in First Grade to foster accuracy and speed. Students also begin two-column addition and subtraction as well as three-number addition. The mastery of basic math facts allows students to gain confidence and skills to take on multiplication and division in ensuing grades. The science curriculum in first grade investigates numerous areas for students eager to learn about the world around them. Students will learn about living and non-living organisms, weather, solids and liquids, the five senses and a myriad other topics. With the implementation of the outstanding science curriculum, students also begin to take advantage of experiential scientific learning focused on the scientific process in real lab settings on campus and our very own Beaker Jr. Science leaps from the page into hands-on experiments and into the hands of our talented First Grade scientists as they don lab coats and embrace the scientific process. Students learn about the world around them through a Core Knowledge history, geography, and culture curriculum. Children are introduced to a world bigger than they know, building a unified, solid base of academic knowledge – the key to overall geographic literacy and future social science success. Content curriculum is linked with age appropriate literature, cross-curricular activities, multi-cultural awareness, and critical thinking skill development. Building on the computer skills learned in Kindergarten, students in First Grade continue developing typing speed and accuracy with keyboard practice during each Computer Lab class. Age appropriate instruction is provided in our secure laboratory setting using state of the art educational software programs provides introduction to application skills such as dragging and dropping, changing font sizes and colors, formatting basic paragraphs, and safe and responsible use of the Internet. The lab teacher works in close collaboration with teachers to link technology with the content areas of literature, science, current events, and social studies. Students also have the opportunity to visit The HIVE, the STEM tinkering lab. Music’s melodic and rhythmic patterns awaken and stimulate neural pathways in the brain which help develop memory, math skills, as well as powers abstract and creative thinking. Favorite songs and dances build on each child’s natural love of movement and music. Students in First Grade build on their harmonic and vocal skills as well as begin to learn musical notation while building their appreciation for all types of music. Students develop physical skills and sportsmanship in PE that allow them to participate and derive enjoyment from sustained, vigorous physical activity. Teamwork, fair play, and doing one’s best are always emphasized as is exercise as a healthy life habit to acquire. The Wood Acres School is most proud of its designation as an International Spanish Academy from the Embassy of Spain and the Consulate of Spain in Washington, DC. This recognition has been awarded to less than 100 schools in the United States and Canada for outstanding programming and commitment to the development of bilingual graduates. As part of this strong academic focus, Spanish classes for first graders are expanded in time and frequency, meeting three times weekly. Students build on their early language skills acquired in Kindergarten and begin to learn verbs and short sentences as well as expand their vocabularies. To aid in comprehension, the students are taught in Spanish to immerse them in this rich language. The Spanish program builds fluency and confidence begun in Wood Acres Early School and continues all the way to high school Spanish ISA and honors classes for our graduates.